Your skin has a lot to deal with, so it needs powerful protection—our Protective Day Moisturizer, backed by SPF 15 to guard against both UVA and UVB rays. Light and natural, it blends together vitamins, antioxidants, and other nutrients to help promote soft, healthy, and younger-looking skin. And if all this weren’t enough, Transfer Factor E-XF™ provides key support for the immune function of skin cells. 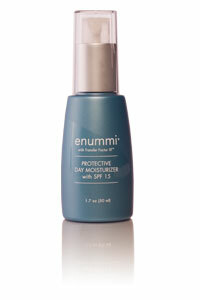 Active Ingredients: Octinoxate 7.5%, Avobenzone 3.0%, Ethylhexyl Salicylate 2.0% (SPF 15 UVA/UVB). Other Ingredients: Water, Diethylhexyl Carbonate, C12-15 Alkyl Benzoate, Glyceryl Stearate, Butylene Glycol, Dimethicone, Potassium Cetyl Phosphate, Cyclopentasiloxane, Phenoxyethanol,Caprylyl Glycol, Ethylhexylglycerin, Hexylene Glycol, Aloe Barbadensis (Aloe Vera) Leaf Juice, Moringa Pterygosperma Seed Extract, Camellia Sinensis (White Tea) Leaf Extract, Transfer Factor E-XF, Magnesium Aluminum Silicate, Tetrasodium EDTA, Xanthan Gum, Cetyl Alcohol, Glycerin, Phospholipids, Tocopheryl Acetate (Vitamin E) Retinyl Palmitate (Vitamin A), Ascorbyl Palmitate (Vitamin C),Sodium Hydroxide, Fragrance.